A comment from a reader asking what I meant about a cedar sleeve being handy for lighting gave me pause. 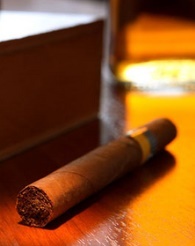 I know many StogieGuys.com readers are highly knowledgeable about cigars. But some are newcomers. So, this is for you: a few tips I hope you’ll find useful. 1. Don’t stress out over what you should and shouldn’t do. As a beginner, I remember being so intimidated by warnings not to cut too much of the cap that I wouldn’t touch a guillotine to the head of a cigar. For the longest time I used a punch or a V-cut. I was always relieved when a cigar shop proprietor offered to clip my smoke. Mine was a classic case of overreacting. Clipping the cap doesn’t rank with splitting the atom. 2. Resist the urge to purchase more than a couple of sticks at a time, at least for several months. Not only do tastes change—and not just when you’re starting out quickly—but the style and size of cigar you enjoy can also shift dramatically. Lately, I’ve become disenchanted with huge ring gauges, even for cigars I enjoy, such as the E.P. Carrillo Inch. I nearly bought a box of them when I had smoked a couple. Now I’m glad I didn’t. 3. Don’t make your selections by using the calculation of price/tobacco. You know the concept: “This Churchill is only 50 cents more than this robusto and there’s a lot more cigar.” Quantity and quality are distinct qualities, and a fair amount of the cost involves things you can’t see, such as aging tobacco, consistency, and quality control. 4. Avoid most catalog/online store samplers. Lots of smokers will disagree vehemently with this one, but, hey, these are my tips, right? My primary reason for this suggestion is that, while a few of the house brands that are used to fill out these offerings are decent smokes, my experience tells me that most of those used to fill out samplers are pretty poor. A cheap, mediocre cigar is a bargain only if you’re considering nothing but price. I’d rather measure my enjoyment. Invest your money and your smoking time in good cigars from the beginning, and I think you’ll enjoy a far, far better payoff. Hi George, good advice, if I may say. I remember when I started back smoking cigars, I was always buying those $20 bundles, it took almost a year to find the good one's. Still having a problem with ''tasting'' all those flavors. Agree 100% with avoiding the "sampler" packs. So often there is just poor cigars filling them with an occasional "name" to make it sound enticing. Save your money and buy a few cigars at a local store that gives you good customer service, keeps their humidor running well, and has a good selection. This is great advice for beginners, such as myself. Thank you! Awesome advice George, I definitely agree that when you first start only buy a couple at a time, or risk wasting a lot of money. This is great advice for us beginners. I started by going to my local B&M and talked with the guys there. The pointed me in the right direction by giving me a variety of sticks to try.